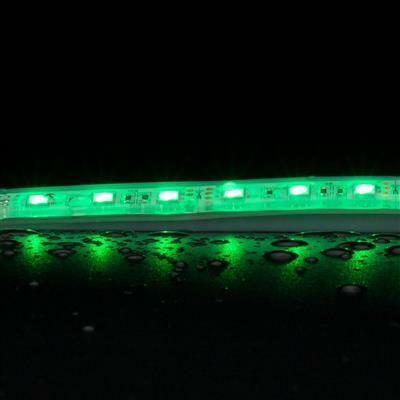 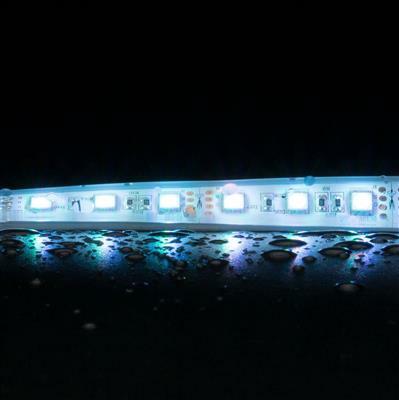 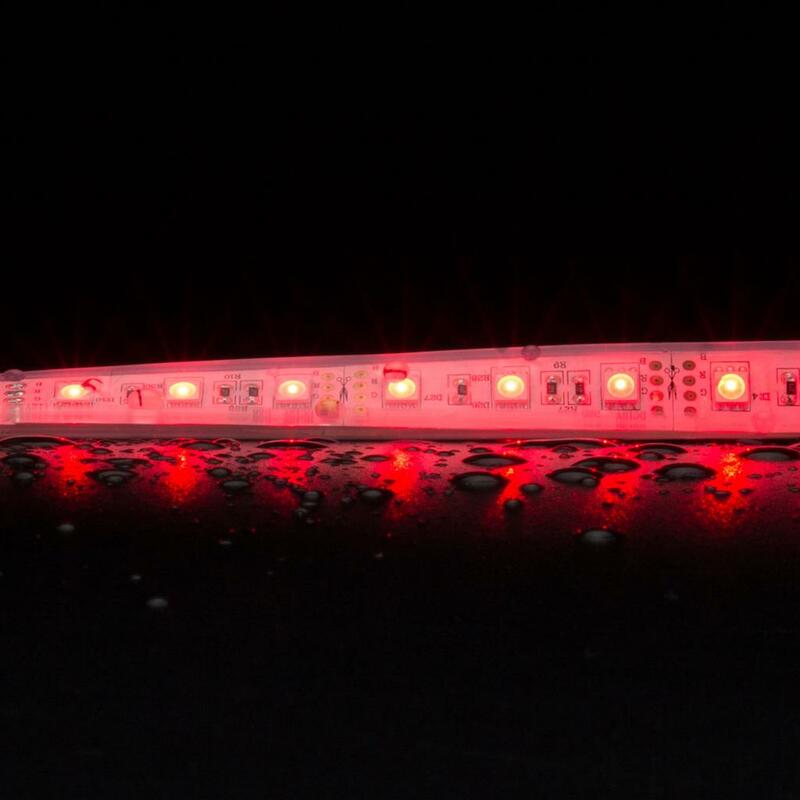 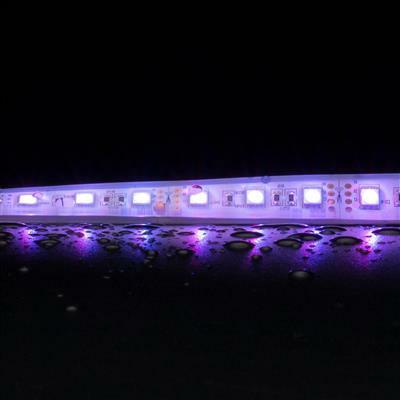 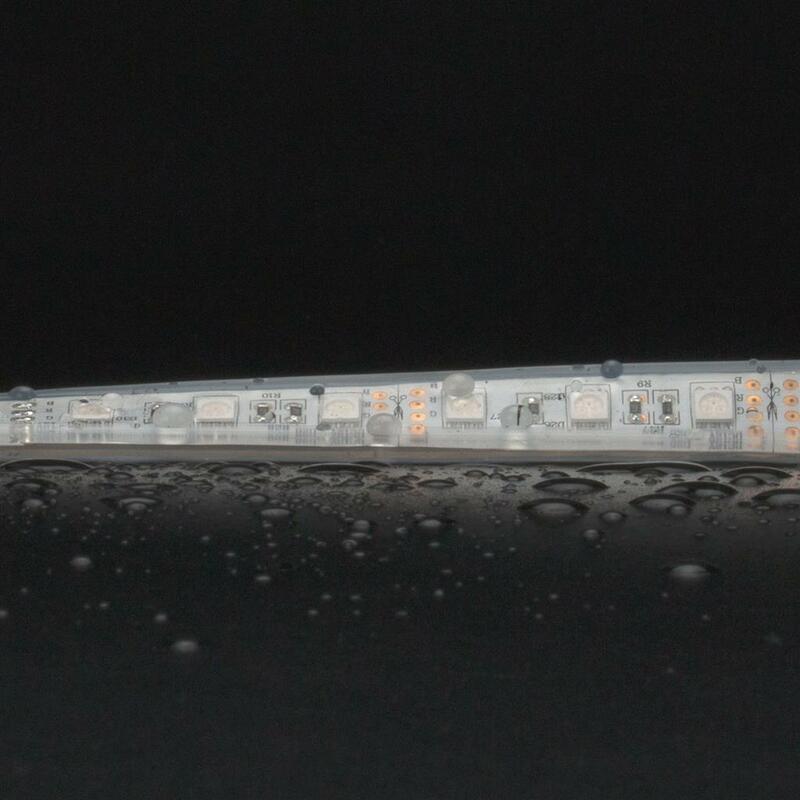 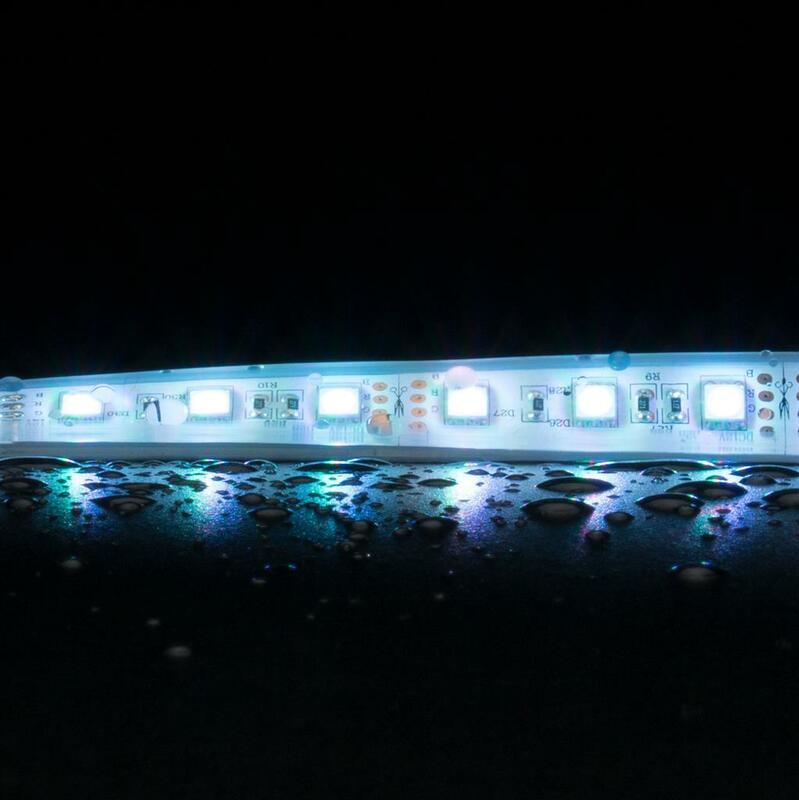 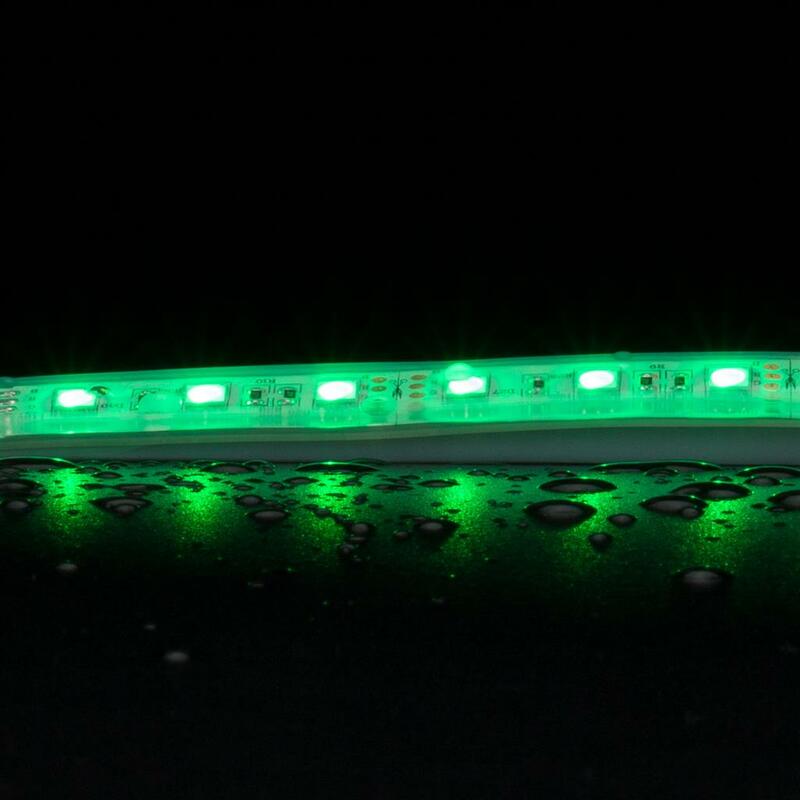 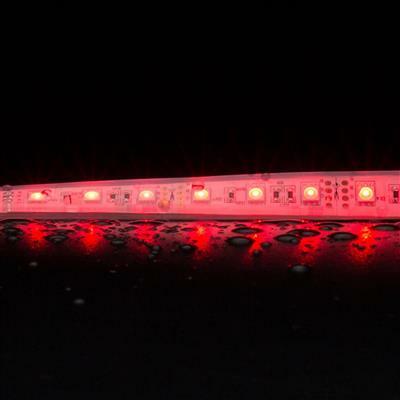 Introducing STRIP-60-RGB-WP LED strip lighting system. 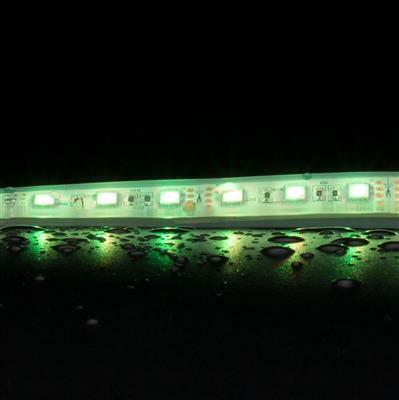 STRIP-RGB-60-WP weatherproof offers new possibilities for colour changing in damp or wet locations. 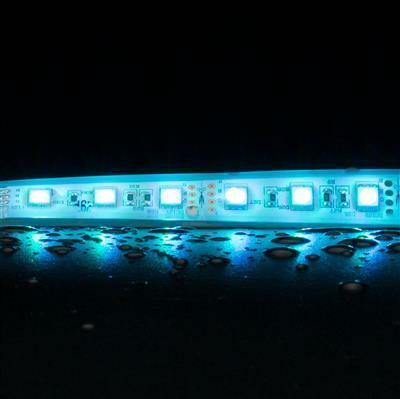 The secret lies in double the amount of LEDs over one meter. 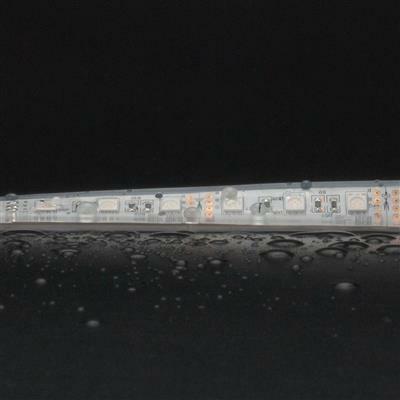 Couple this with its thin and flexible PCB, encapsulated in a special silicon U-channel with silicon overlay. 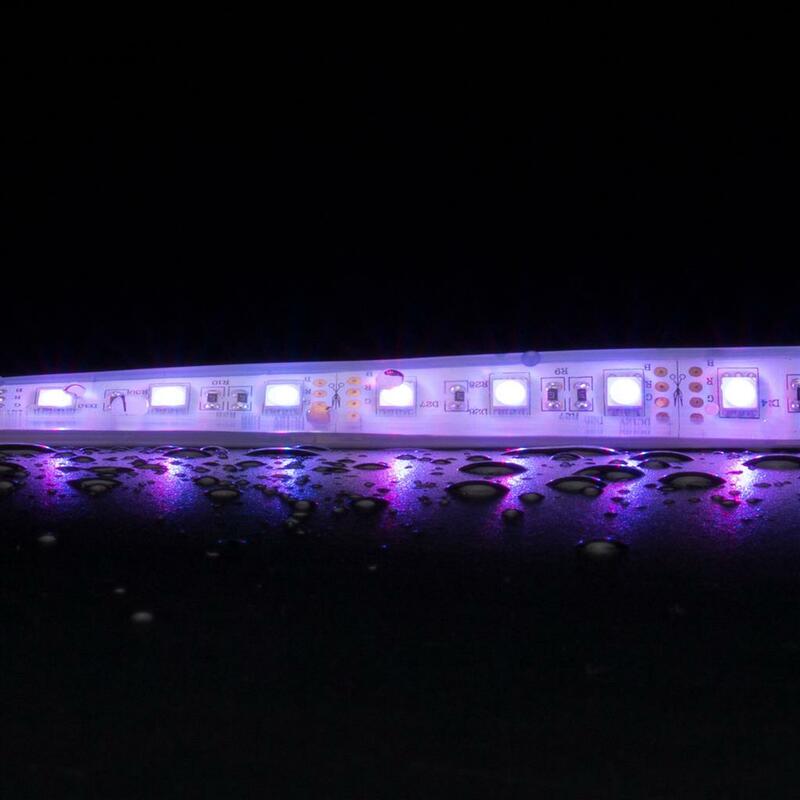 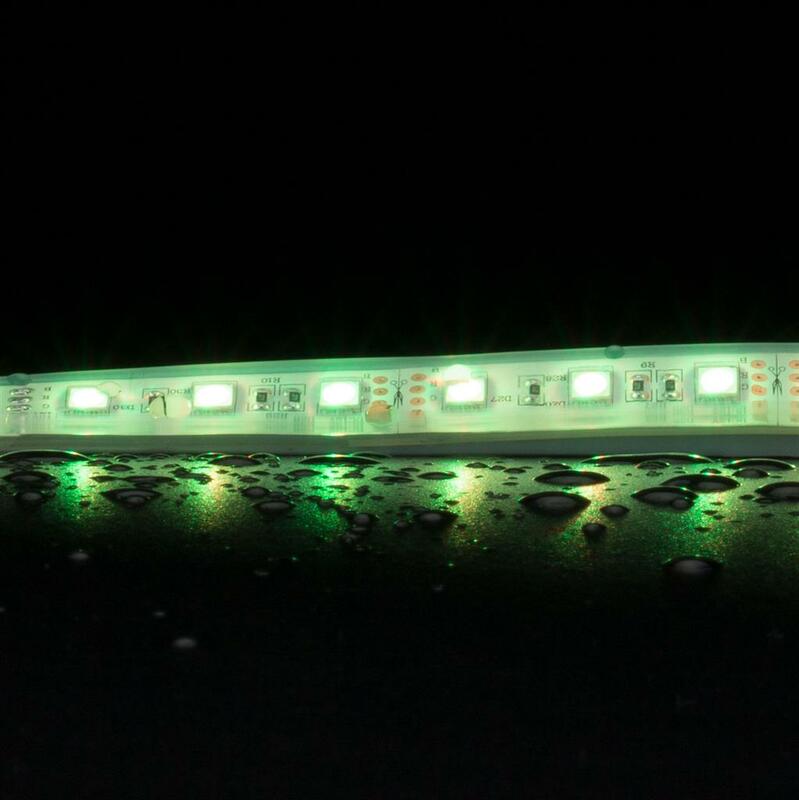 Applications such as outdoor areas, hand rails, pool areas are accentuated by the colourful effects achieved by this LED strip. 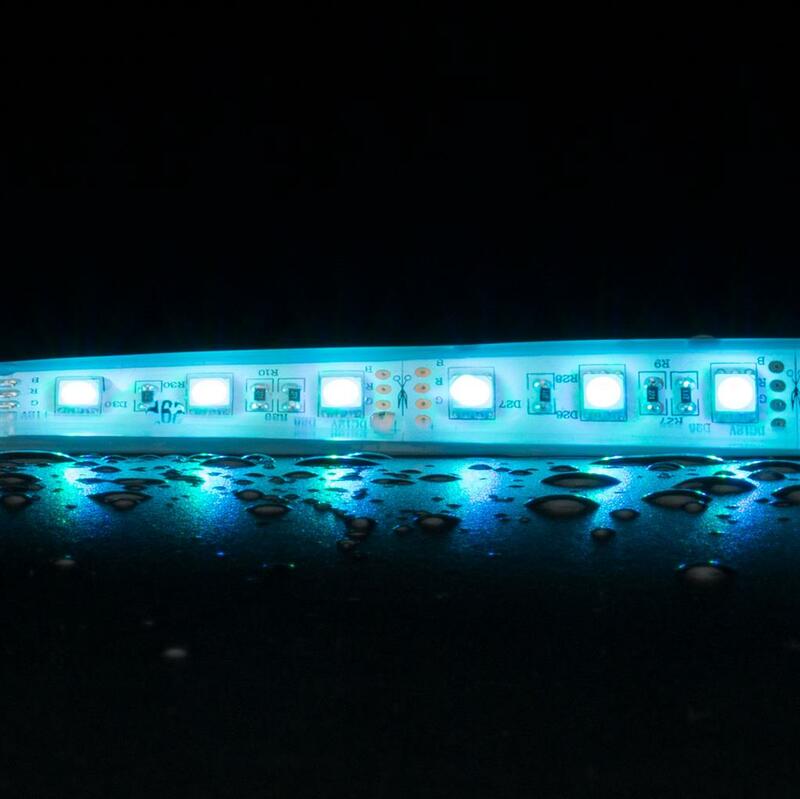 The use for this is only limited by your imagination for a fully visual feast.